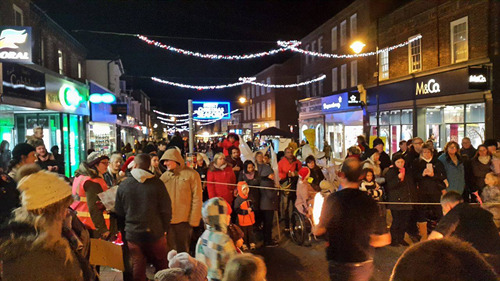 On Saturday 5th December the town of Seaford lit up when Christmas Magic returned! 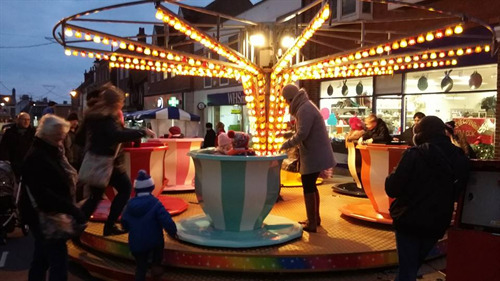 Organised by Seaford Town Council and Seaford Chamber of Commerce, the Town Centre was filled with the sights and smells of Christmas for all to enjoy. The event was kindly sponsored by many businesses and organisations in and around Seaford; the main sponsors being Brooklyn Hyundai, Billy’s Beach Hut and Toytown. There were over 30 stalls providing a vast array of produce, with charity and fundraising stalls, hot cuisine from other continents and a variety of exclusive Christmas goodies; there was something for everyone! The live entertainment organised by Seaford Live with help from Splashpoint Music was well received by the crowds who gathered from 10am to come and support their local talent. 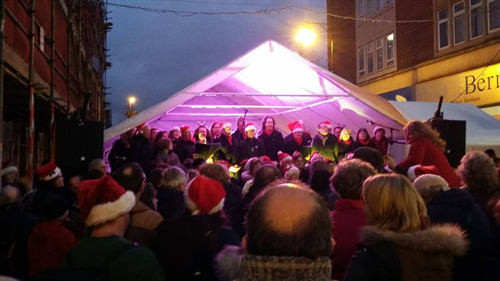 Performances were given by Consensus Choir, Simon Wood, Kings Church Puppet Show, Rosie Moore, Julie’s Art of Noise, Sprung, Seaford School of Dance, Mel Hayes, Seaford Musical Theatre Juniors, Archway Choir, Seaford Silver Band, Juggletastic, Stix and Funked Up. 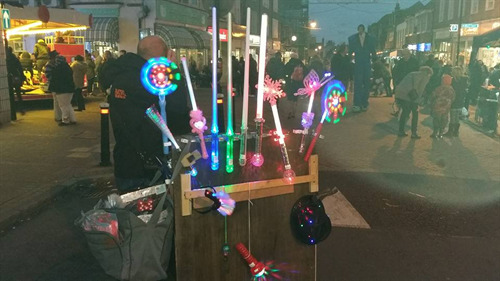 Juggletastic was sponsored by the Seaford Rotary and Paul Franklin who without their kind generosity the crowds would not have had the exciting performance following the light switch on. 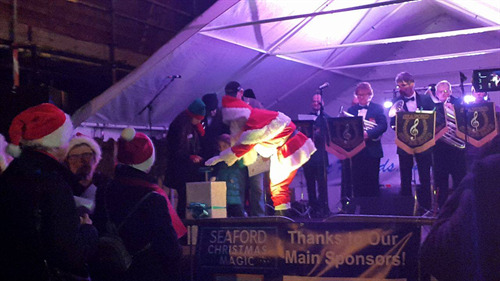 The Seaford Christmas Magic team would also like to thank the following businesses for their support and sponsorship to the days celebrations; Frankies Beach Café, Deans Place Hotel, Andy Anderson & Son Locks Smith, Badger Inks, Fonetastic, Splashpoint Music, Home Hardware, Wynnes, Sussex Eyecare, Rathfinny, Swindells and Horder Healthcare. Sussex Events Ltd were key players on the day and must be thanked for their continued professional service and contributions in making this year’s event run smoothly. A big thank you to Seahaven FM who made such a wonderful part of the team with public announcements, live broadcast and interviews throughout the day. Thanks must also be given to Chris Hewitt who ran his photo booth in the Clinton Centre all day witch was a popular activity and memento for the day! Seaford Schools Together and Seaford Family Focus Group provided incredibly popular indoor activities and crafts at St. Leonard’s Church Hall, sponsored by Toytown and Splashpoint Music. It was here the lanterns were made for the parade in the afternoon and there was a Gnomes Grotto was open for the visitors. The Lantern Parade was a magical experience for the families and children who took part and also for the bystanders who were able to share in the joyous atmosphere of the parade. Seaford Library and Seaford Community Cinema also joined in the day and entertained visitors with story times at the Library and the movie Paddington shown at Seaford Cinema. Phoenix Security supported the event this year with exceptional first aid cover for first aid throughout the day. CTLA kindly ran a Park and Ride service to transport visitors in comfort to and from the event. 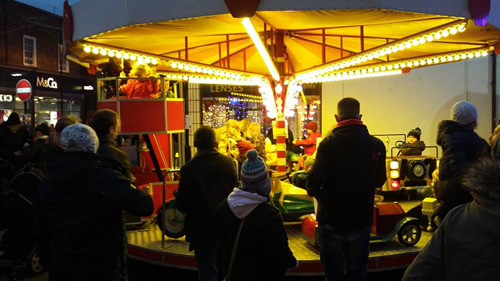 A thanks goes to Seaford Rotary who transported Santa, his sleigh and his grotto. 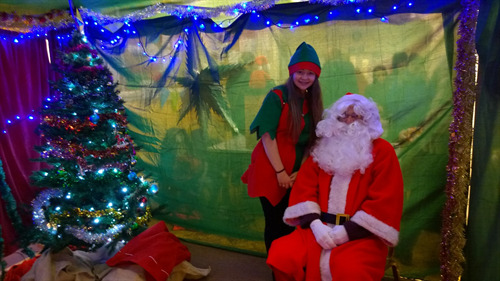 Santa ended his day with the switching on of the astounding Town Centre lights, along with the Young Mayor of Seaford, Gabrielle Edwards, who helped mark this special occasion. The winner of the Best Dressed Window Competition was Autism Sussex in who received a special trophy donated by the Chamber of Commerce. Marybelle came in 2nd place and last Home Hardware in 3rd place. 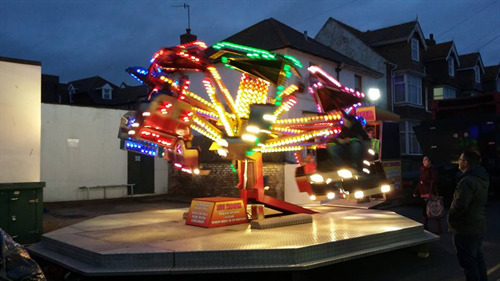 The Christmas Magic Team would like to thank all those who took part in this competition, and helped transform Seaford’s town centre into a hub of festivity. The Seaford Chamber of Commerce also gave a specially made trophy to the Elves of Ambers Florist who won the Best Fancy Dress competition on the day. If you would like to leave feedback, comments, any pictures you many have of the event or if you have ideas of what to do next year and would like to get involved, they would love to hear from you. So please visit www.seafordxmasmagic.uk or Seaford Christmas Magic Facebook page to leave your comments. The Seaford Christmas Magic Team are meeting the 15th January 2016 to go through the event with a fine toothed comb. Therefore if you have any feedback please ensure that it is in to the team by 15th January 2016 t the latest. 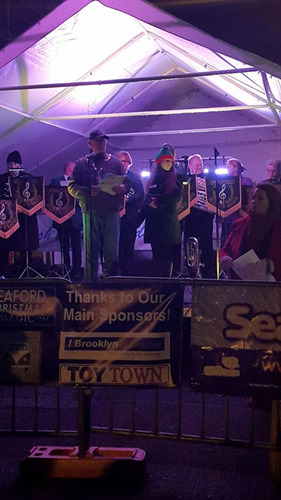 To all who volunteered their time and efforts to ensure that this event was a success, Seaford Town Council and Seaford Chamber of Commerce would like to give their warm thanks and a huge well done.